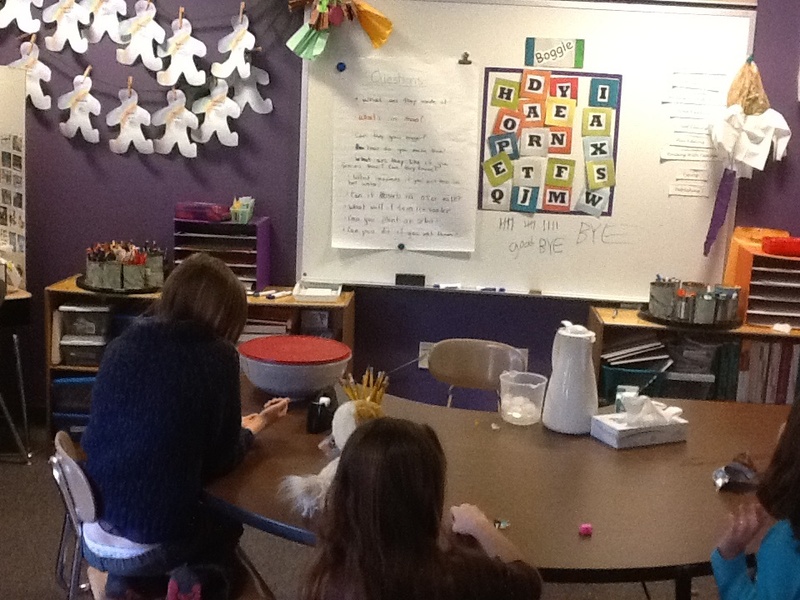 It’s been a while since my little STEM club had a good science expiriment, so I decided I wanted to do one this week. 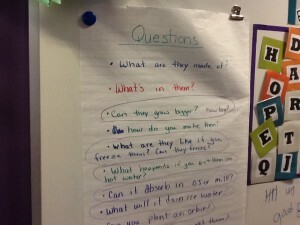 I though about what to do,and with the idea of Science Fair looming in the back of my mind, I thought it would be a good idea to introduce the girls to what a testable question is. My hardest task was to find something with enough “cool-factor” and appeal to get these girls motivated after school. Orbeez popped in my head because my four year old daughter can’t seem to get enough of them. They are very cool and the possibility of questions are endless! I set a huge bowl of them in front of the girls and they definitely knew what they were and what toys they go with. I think one girl told me they are for putting your feet in. I have to say, I think I saw that toy at Target! The girls took a few minutes to feel them, squeeze them a little, and observe. 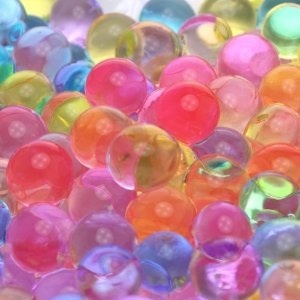 We talked about how these beads abosorb water through the process of osmosis. 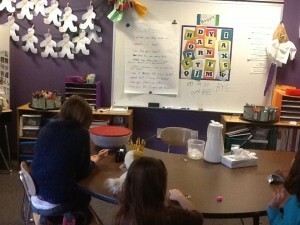 They were instructed to share any questions they might have about the beads. I wrote down all the questions they had. 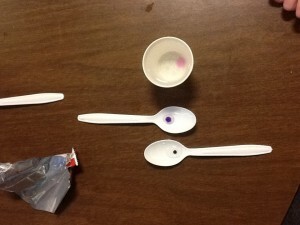 They got a chance to select which ones they would test, and we dove right into the scientific process. We submerged them in hot water, cold water, orange juice, milk, and we even had a control. We also took some ones that were full-size already, down to the freezer to see what would happen if we freeze them. While we waited for our experiments, the kids were able to play! They could not keep thier hands off of them. What I loved is how excited they were to go back and peek at thier experiments. We noticed right away that hot water worked very quickly making the beads grow. Much like our light experiment, the hot water made the individual molecules move quicker. 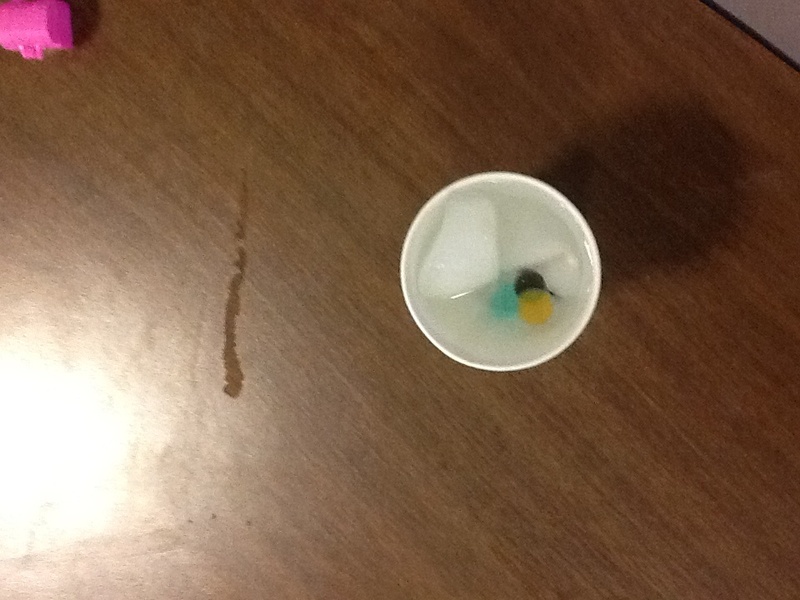 We also felt that cold water worked too, but the orange juice and milk were much more difficult to see the results. 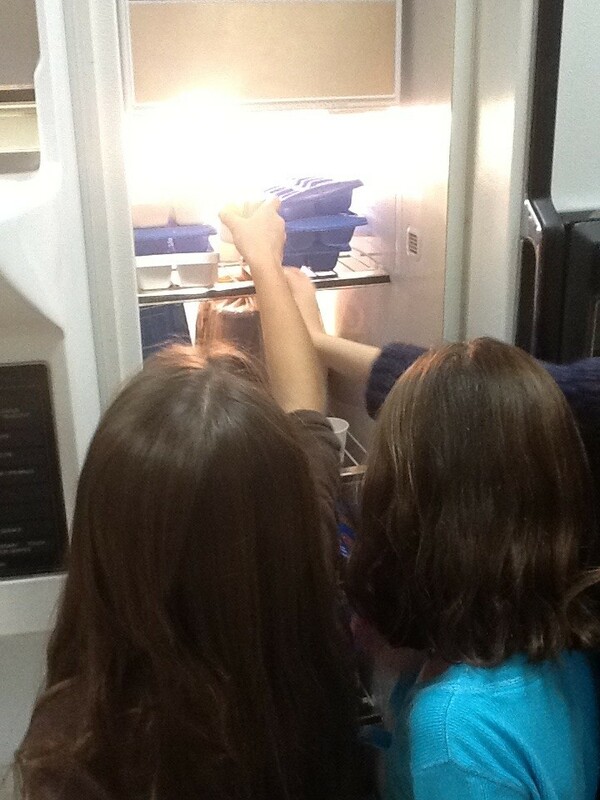 When we took the beads out of the freezer, we observed that many were cracked. Elizabeth dropped one and it shattered right away! 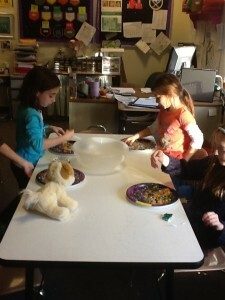 Orbeez were a perfect STEM experiment and perfect for girls! We can’t wait for next week’s adventure!